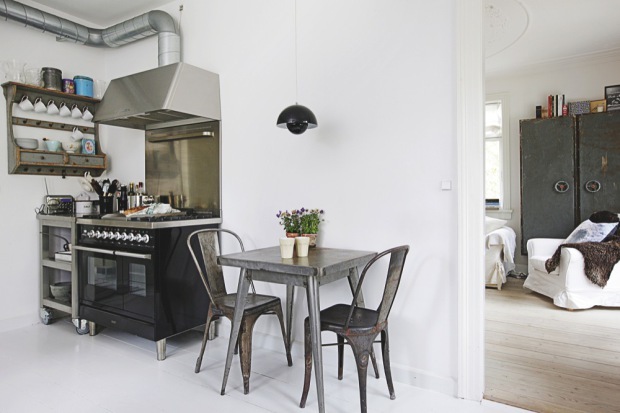 my scandinavian home: Why buy new when you can buy old? These were the sentiments of the homeowners of this beautiful Danish villa in Amager, Copenhagen. Love the look?! Source vintage Tolix industrial chairs and stools. 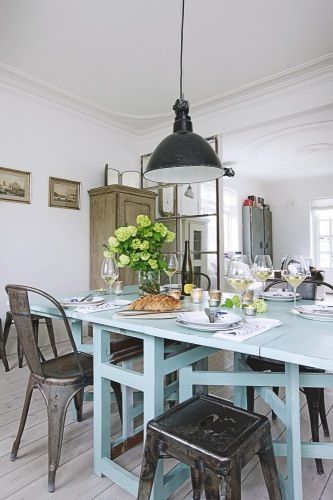 Consider the IKEA Norden table from IKEA and paint it light blue. 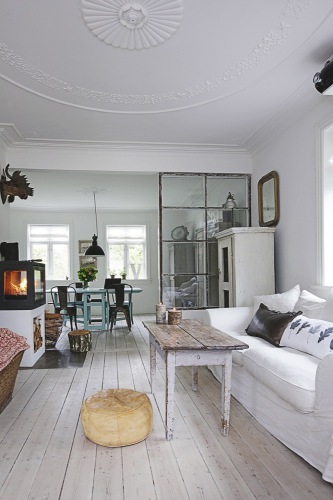 Buy the Ektorp Jennylund Armchair in Blekinge white from IKEA. just went through your whole blog and i love it!